In search of a deeper meaning, today, the LHC announcement: something is there, at 125.5GeV, and maybe it is it! Ladies and Gentlemen, The Higgs Boson! They say that particle is the one that allows mass itself to exist. It is fundamental, and its existance is an incredible confirmation of the current physics so called Standard Model. 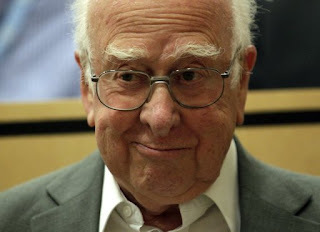 I do not know how a Higgs boson looks like. Neither at CERN they can see it. It lives just a few trillions of a second, before vanishing out in a quantum sparks cloud. And detectors do not see it directly, but just the sparks cloud, and decoding that smoke they can infer the gun. Anyway, I imagine it like a quite big brownish marble.